Getting an event off the ground can be overwhelming. There’s a lot to do. That’s one of the reasons why at SquadUP we’ve worked hard to remove as many superfluous event planning steps as possible and build a frictionless event management platform. This way, even the most amateur planners can host their perfect event without any outside help. But that doesn’t mean we don’t care about our #EventProfs out there, too. For all of the veterans that have been organizing events for years and those that aspire to event-greatness, SquadUP now offers professional add-ons. What’s a professional add-on, you ask? It’s one of our bonus features that we charge for a la carte. They don’t apply to every event so we present them here instead of adding an extra step to the streamlined event creation process. If you already own a URL that you want to use for your event, let us know so we can connect your custom URL to your SquadUP event. Need help converting your event design work into a website? We’ll do it for you! We’ll even assign you your own Customer Success Manager that will answer any questions you may have and keep you updated on the conversion process. Take a look at what we did for Gradunation Week 2014 and Gatsby NYE. If you need a custom webpage for your event or event series but don’t know where to start, we can help. Take advantage of SquadUP’s professional design services to help build your event webpage from scratch. 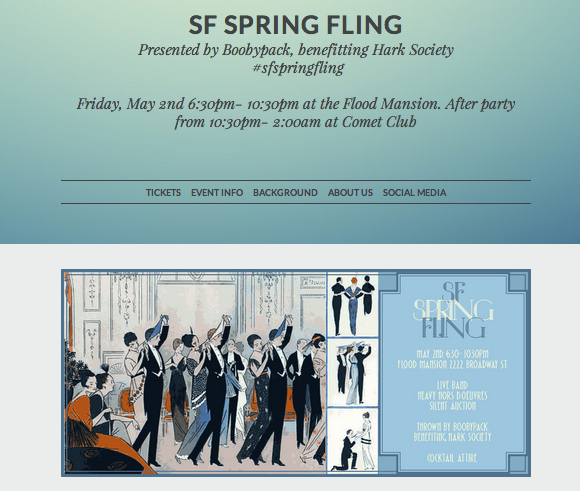 Check out a few examples like the SF Spring Fling, The ILLMORE, and the Pruv Launch Party. Organizing an event in NYC and looking for some production assistance? SquadUP has you covered! We’ve partnered with event experts and a full-service event production team that can help with everything including venue negotiation, catering, event staff, photographers and performers. Price upon request. Big thanks to the top notch event professionals that use our platform and provide valuable feedback that directly leads to upgrades like this one. Comment or tweet @squadup to continue the discussion on professional add-ons.